Human power is work or energy that is produced from the human body. It can also refer to the power of a human. Power comes primarily from muscles, but body heat is also used to do work like warming shelters, food, or other humans. A new Hunter based project is asking all people of the Hunter to show their support and get involved in a range of initiatives to tackle different issues in the region. Human Power is a people driven brand, the brainchild of two Hunter business women, Being More Human Founder, Michelle Crawford and UQ Power CEO, Heidi Alexandra Pollard. In the global market it is more important than ever for businesses to connect to their purpose. Human Power aims to bring business, government, not-for-profit and the community together combining people who would never normally sit in the same room to focus on an issue that matters to all. On of the unique contribution of this gathering is the event that Human Power organised on the World Peace Day, 21 September 2016, which had people from all of the following industries and more: accounting/finance, small business, insurance, human resources, mining, local councils, lawyers, property developers, schools, restaurants/cafes, training organisations, recruitment companies, construction companies, sporting groups, politics, religious groups, disabilities, aged care, mental health, homelessness, housing, public sector groups, real estate, food industry, not for profits, healthcare, heavy manufacturing, the defence force, airport, humanitarian aid organisations, allied health providers, media, marketers & designers and banks. A true representation of our Hunter business community to deal with a truly challenging community issue. We envisage that the Hunter has never quite seen a collaboration so extensive between business, community and not-for-profits. It builds on some great work going on already in the homelessness sector. What we aim to achieve with Human Power is a “broader, more cooperative discussion, inspired by the voices of those who actually live rough every night.” And what we hope to see out of the different initiatives are some creative, effective, business led contribution around coordination and strategy. Join the movement for a happier world! how to stay happy in each momentAfter this workshop you will enjoy your relationships more, get the buzz back in your work, and feel less stressed about daily life. This workshop is for everyone – everyone who is open to welcoming the gift of happiness into their life. If you have any questions please feel free to contact us via email at humanpowernewcastle@gmail.com. Human Power is teaming up to bring the first DIVERSITY & INCLUSION conference to Newcastle on Tuesday 10th October, 2017. Newcastle and the Hunter Region are known for a great many things, however Diversity and Inclusion in business is not currently one of them. Although there is discrimination laws it happens every day in corporate Australia. Primarily due to ignorance and lack of exposure to diverse work environments. We want to be able to pull down barriers in a constructive way to show corporates the advantages of diversity. We want to be able to support diverse humans in participating in the economy. The intent of the conference is to both provide an education, a connection and an experience. It's about connecting the community and creating a collective voice. We welcome any humans who are interested in learning, improving and sharing ideas, practices and strategies around their diversity and inclusion. Our speakers have faced adversity, have lead inclusive businesses and specialise in diversity strategies. We encourage you to come along, and share this event with other humans in your circle. A collection of keynote speakers, who will speak on gender, indigenous and disability topics. Newcastle Business Club Luncheon with Heidi Alexandra Pollard & Michelle Crawford as guest speakers. Presented by UQ Power and Being More Human. Human Power aims to harness the power of people to make a difference in Australia across eight keys global issues identified by the UN's Global Goals. The first goal is #10 Reduced Inequalities, in particular focusing on homelessness. The first public forum was launched in Newcastle on World Peace Day, 21 September 2016, during Global Goals Week. Prior to the Forum founders Michelle and Heidi Alexandra held approximately 20 meetings with stakeholders from across the region to get a clear picture of the dynamics impacting homelessness locally. At the start of the evening, attendees heard about the amazing work already being done in the homelessness sector as well as heard from an inspiring woman Tammy about her experience of living rough for several years. Attendees then participated in a cooperative discussion to create new solutions to the issue. Please see below some of the amazing ideas that the forum birthed. Opportunity to create a collaborative strategic homelessness plan for the region. Establishment of a steering committee charged with governance of the implementation of the plan. Need for better data and statistics to quantify the need better was highlighted. Three phased approach to this project. See more information here. Resume writing at Soul Café provided by Indie Recruitment – already commenced. Submit additions to the Homelessness app AskIzzy that are Hunter specific. Individuals offering volunteer time for various services. Refurbishment of a house for accommodation purposes. 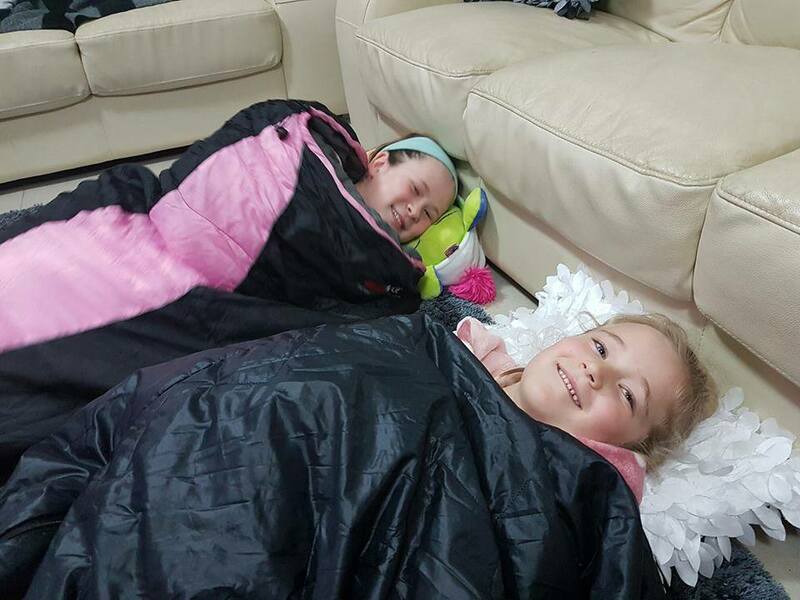 Families and people of the Hunter were invited to show their unity by being part of the #sleeproughathome campaign and post photos of themselves sleeping rough as a conversation starter with their loved ones. Coinciding with the forum, a number of churches were holding prayer sessions at their locations where members and friends could gather to pray for the homeless of the night of 21 September 2016. Finally, we want to acknowledge and thank all the people who met with us and attended the event on 21 September 2016.